My B.Tech. 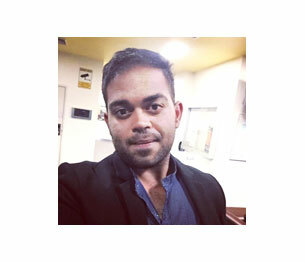 (Electronics and Communication Engineering) degree at Amity gave me the platform to challenge and improve myself, meet smart people with innovating thinking. The skills for generating and validating ideas are timeless, and I believe being able to think critically and evaluate ideas beyond the surface level has been helpful in my career and made me a more valuable employee. One of the most important things I learned during my time in Amity was that sometimes itâ€™s important to fail at something to succeed at it...later. I was never the most brilliant student, never amongst the highest scoring, I was someone who spent more time on stage than in the classroom, but Amity had this culture that made me feel that, whoever I was, they believed in me and wanted me to succeed. 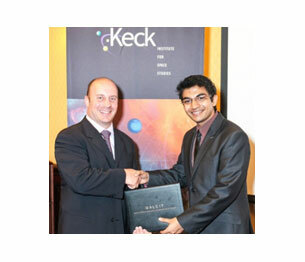 Currently Shrenik is working with Siemens, USA. 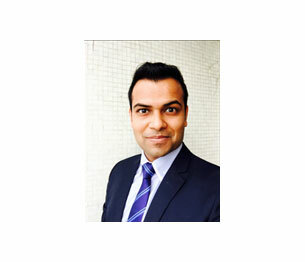 He is a part of their Management Consulting and Internal Auditing group, which assists top-level management with sound advice in making the right decisions needed to keep the operative business running smoothly. Customer Delivery Specialist at MITEL Connect, U.S.
My years at Amity are truly memorable. I was taught by some learned and highly experienced professors, made some really good friends and feel that my department still welcomes me as an alumnus to share my views and also help me when needed. The dept. of ECE, ASET is a perfect amalgamation of experience and youth under a capable leadership to provide students an all round development. The department motivates and supports good research work and facilitated me with the opportunity to co-author several technical papers published by Springer, Taylor & Francis and IEEE. Currently, he is doing M.Sc. (Communications Engineering) from RWTH Aachen, Germany and working as an intern at Robert Bosch Campus, Renningen, Germany in the department of futuristic mobility as part of the team developing an optical engine. Dept. of ECE, ASET gave me the platform to hone my skills and knowledge to excel in the professional world. Excellent infrastructure backed by a group of learned and enthusiastic professors and teachers is the ideal combination which this department offers its students. The B.Tech programme also includes courses in business communication which help develop leadership skills and team building. It was only because of the support from the department that I along with my group mates were able to publish several technical papers, published by reputed publishers like Taylor & Francis, Springer and IEEE. Having being the Class Representative, I can vouch that dept. of ECE has a helpful admin staff. As alumni, I am proud of Amity and the Department of ECE, ASET!!! He is at present doing M.Sc. (Communications Engineering) from RWTH Aachen, Germany and working as an Intern at Phillps Healthcare at the Department of Clinical Application Research in Aachen, Germany. Today, after 3 years from graduation, I can proudly say that Amity is one of the best universities to study in. Apart from imparting great education the university also helps in one's overall development. The Electronics & Communication Engineering branch to which I belonged had some really fantastic faculty members like, Dr. Anu Mehra, Dr. Pradeep Rana & Mr. Sanjeev Saxena, to name a few. The faculty members were very cooperating and really took pains to provide us with nothing but the best. In addition to great faculty members, the department also provides excellent hands on opportunities in the form of projects that helps in developing required skills as per industry standards. In nutshell all I can say is I am proud to be an AMITIAN. When I first joined Amity in August 2008, I was naive, under confident and unsure of what lay ahead. Gradually it became my life â€“ from managing studies and extra-curricular activities, making projects and writing assignments, and working on circuit boards, to making life-long friends in hostel; those were the best four years of life! Amity gave me a degree, a job, a career, but more than that it gave me the confidence to move ahead both in terms of higher studies and better career opportunities. Today as I work with the United Nations, confidently working with corporate, Government departments and international agencies, I know it is because of the grooming at Amity that I stand here! I joined Amity way back in 2006. As with anyone about to start a new chapter in life, I was both eager and anxious thinking what lay ahead. Slowly but surely I came to know that I had unwittingly come to one of the most diverse and energetic campuses in the heart of north India. I had joined the Electronics & Communications Engineering program at ASET, and during the first year itself made some friends for life. One of them is my business plan partner (Virtual Reality Platform) in California today. The training I received at the ECE department during the four years propelled me forward to a career comprised so far of exciting experiences at space exploration companies in the US and also at NASA. My word of advice to students in ECE department, is: Never quit on your dreams, no matter how lucrative or easy the other path seems. I am Proud to be Amitian. Amity has truly given me quality education, Remarkable Professors and Friends for Life Time. Choosing to pursue my engineering degree at Amity University was one of the best decisions I've made. The program is not only educational but also interactive. The professors are great, too, and I love their open door policy. The professors spend considerable time mentoring and supporting us. They bring rich, diverse education and professional experiences into the classroom, passing their expertise on to us. It's great â€“ the engineering department has really helped me reach higher and go far. Being part of Amity University was like living an education culture full of knowledge, and which creates an impression on your personality. I got lot of exposure to learn new developments in field of engineering and got opportunity to interact with many dignitaries. 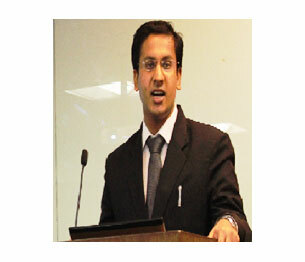 Under the guidance of our renowned faculties, I learnt to perform and achieve growth in career. I feel proud of being an ECE student from ASET. Dept. of ECE, ASET gave me a platform to develop my skills and knowledge to excel in the professional world. The well structured program of ECE taught by learned professors, good laboratories and tons of opportunities and facilities gave me an excellent exposure. Various additional courses like business communication, organizational behaviour and foreign language gave me an edge and proved very useful to help me step into the professional world and get job offers from companies like Emerson Process Management and Yokogawa Electric Co. The placement team of Amity is very helpful and helps students get placed in various companies and helped me to get placed in Aricent. Various student clubs help delve into various areas of interest and develops both technical and soft skills. I was the secretary of Institute of Engineering & Technology, Amity student chapter which improved my problem solving skills, leadership skills and team spirit I was awarded the â€œBest in interpersonal skills and team spiritâ€� award. As an alumni, I am proud of Amity and ECE department! Joining Amity was till date the best decision of my life! She is currently pursuing MSc Information and Communication Systems, Technical University Hamburg-Harburg working on 5G Vehicular Communication. Learning at Amity was the â€˜most amazing phaseâ€™ of my life. It was a blend of conceptual knowledge, and events & activities that helped me to explore my potential and push the boundaries. Interactive sessions with faculty and industry experts, research on projects, and industrial training helped to steepen my learning curve. I am thankful to my faculty members and companions because of whom I am able to deliver terrific performance at my workplace and experiencing accelerated career growth. 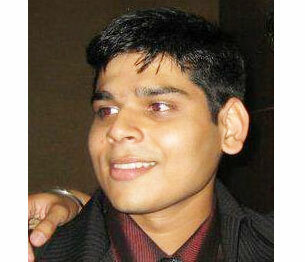 He is currently serving as a Manager at Genpact. 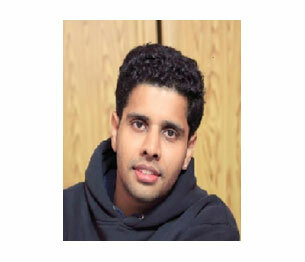 Core Engineer, Ericsson India Pvt. Ltd. In the span of 4 years, Amity inculcated the spirit of motivation in me to rise above and achieve success in life. It has taught me to sail through hardships and withstand difficulties. "A firm belief in God will always keep you moving" is a lesson learnt by me from our esteemed founder Dr. Ashok K. Chauhan. Engineering was a wonderful experience for me, glorified with the help of supportive and motivating faculties of ECE dept. (ASET). I believe Amity will always welcome me as an alumnus and continue to prosper. 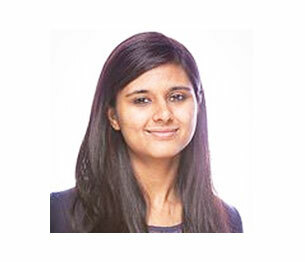 She is currently working as a Core Engineer, RINA OP CCD Network Design at Ericsson India Pvt. Ltd. I completed my Bachelor's in Technology in Electronics and Communications Engineering from Amity School of Engineering in 2011. I am forever indebted to my professors in ECE dept for the quality education and the motivation they gave to always dream bigger and achieve higher. They are highly-qualified and enthusiastic. It was during my 3rd year at Amity when I realized I wanted to go for higher education after several discussions with my professors and seniors at Amity. I owe my achievements to my undergraduate education. I have 2 publications in IEEE, 2 SRC publications, 1 journal paper and 1 patent filed. 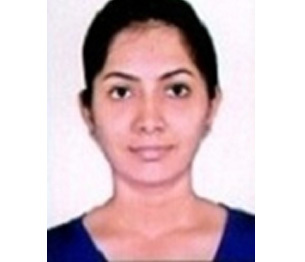 She is currently research assistant, pursuing PhD in Electrical Engineering from University of Texas at Dallas and working on a funded project in collaboration with University of Buffalo and University of Nebraska, Lincoln. 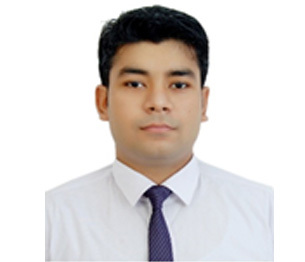 He is currently Member Consulting Staff at Mentor Graphics Corporation. I pursued my B.Tech (ECE) from Amity in 2006-10. The great blend of students from diverse backgrounds and the amazing professors in this place facilitated great learning throughout my four years in this place. 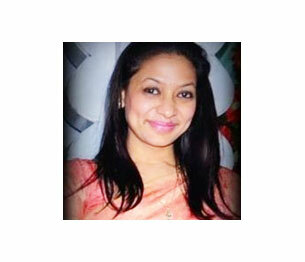 She is currently working as a Manager at Airtel after completing MBA from IIM Kolkata. After interacting with the ECE faculty I got the confidence that there are equally passionate for the VLSI as I was at that time. After seeing the ECE Labs as well as the syllabus pattern I was very impressed. So, it was a right decision to select ASET for studying ECE. The knowledge I gained during my engineering tenure has really helped me a lot to establish a right way for solving the issues during my work. 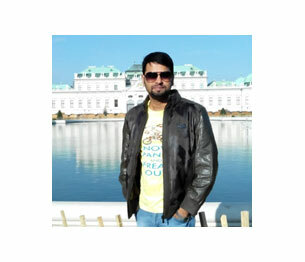 He is currently working as a Senior Design Engineer at Aricent Technologies. As a fresh matriculation graduate I joined the ASET Family in fall of 2006 with lot of excitement and anxiety about how the life would be at college and that too an engineering school. I had my own apprehensions while coming out of my comfort zone for the very first time. But, when I look back, my years at Amity, I do miss every moment I spent there, be it in the classrooms, with faculties or during the fest. I was a part of Electronics & Communication Engineering Department and had the best of the engineering training from best of the professors in the field. It was not only about formal class-training that helped me, but the informal discussions in professorâ€™s office-hours helped me to streamline my field of study. And this focus helped me get into semiconductor design industry with a lot of confidence, where I did some my best work, especially at Cadence Design Systems and Fujitsu Semiconductors. This is how strong and skilled is the alumni network of Amity. For anyone who wishes to join ASET just live the following mantra, â€œThink Good. Do Better. Be Great. He is currently pursuing MS in Electrical Engineering and representing his school on one of the prestigious Entrepreneurial Competition at University of Southern California. Since the first moment I came to Amity I was met with nothing but energy and enthusiasm. The strong academic programs, readily accessible faculty, Labs and a variety of student resources create an excellent learning environment for me to gain practical skills and most importantly, poise in the workplace. We get ample amount of opportunities to develop our all-round personalities not only through academic atmosphere but also through various co-curricular, cultural and sports activitiesâ€¦.Proud to be an alumni of Amity. 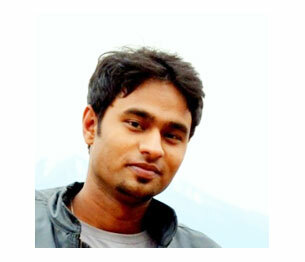 He is currently working as Software Engineer in Morpho. After 12th the new chapter of life begins and i am glad i choose Amity after that for my engineering. It was a wonderful experience studying at Amity University. The professors work very hard with the students to teach them the concepts and also the lab are equipped so well for us to practically implement the knowledge that we gain. 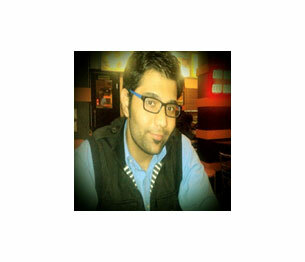 He is currently pursuing MBA in International Banking & Finance from IMT-Dubai. 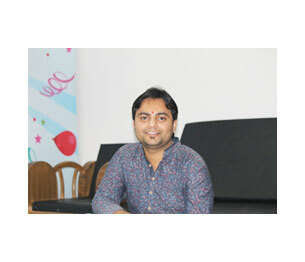 Department of Electronics and Communication Engineering at Amity University is one of those few departments that have grown tremendously over the past few years. Presence of some learned and highly experienced faculty members in the department has really made a huge difference not only in terms of standard of education but also in research work. I am happy that I was a part of one of the best research groups of the department and got the chance to co-author several research papers. I wish that ECE department continues to grow as it has been doing for the past several years. 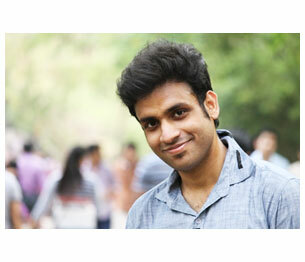 Presently he is doing MS in Electrical and Computer Engineering at University of Delaware, USA. The four wonderful years that I had spent at Amity not only helped me grow academically, but also helped me achieve professional goals significantly. I would like to thank the Department of ECE for giving me the chance to learn from and work with highly qualified professors. Both the course work and the project work has helped me to set up a strong foundation in Electronics and Communications Engineering. ECE department had also provided me the opportunities to polish my leadership skills. My tenure at Embedded and Robotics Club of ASET, and participation at several other extra curriculum has been extremely rewarding. B.Tech ECE program is well structured to help students excel in academics and develop leadership skills. 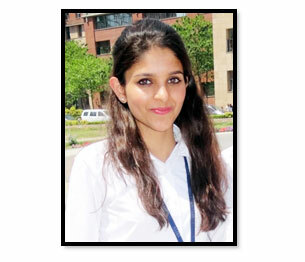 Currently, SrishtiDubey is pursuing her Masters in Computer Engineering with specialization in Digital VLSI and Computer Architecture from Arizona State University, AZ,USA. 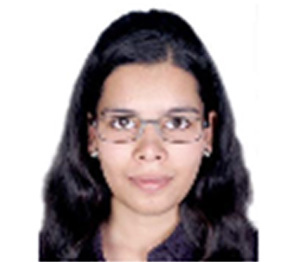 She is also working as an intern at Broadcom in the area of design and verification of ICs targeted towards GPs, and Touch Controllers. The four years at Amity university were definitely the golden and most memorable years of my life . I believe it nurtured a carefree kid straight out of school into a responsible and practical adult. The ECE department boasts of state of the art labs and equipments which is definitely better than most of the universities in India. The teaching staff with years of experience bestowed us with the right knowledge and skills needed in practical world. I would like to make a special mention to digital communication system faculty as that transcribed to be one of my favourite subjects.Amity also gave me an opportunity to follow my hobbies along with rigorous engineering load . I was the president of the dramatics society of ASET which gave me an opportunity to show my leadership skills . Along with knowledge Amity gave me precious lifelong connections and friends. Wherever i will go in life or whatever ill achieve i will always be a proud amitian. 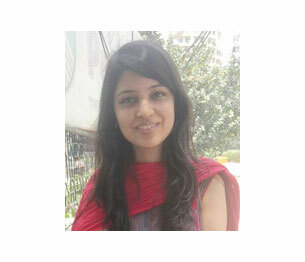 She is presently working as an intern in product validation team at Cadence design system. I am proud to be a part of Amity Family as this prestigious Institution has given me the right platform to excel and come out with flying colors. It was Amity University which acted as a launchpad to create an opportunity for me to complete my Masters' project in one of the Top Ranked Universities in the World which is Nanyang Technology University, Singapore. I have maintained the good reputation given to me by Amity University of being a Topper till date as I have been performing really well in academics. I hope to learn and excel more and will always be grateful and thankful to Amity group for everything I have and will achieve. I am thankful to Amity University, Noida for giving the platform to continue my research work during my M. Tech (2013-2015, VLSI). 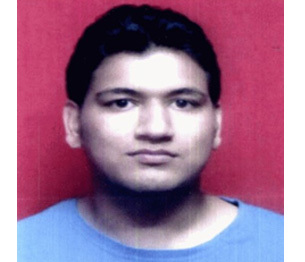 I have also completed my summer internship in IIT, Delhi as a research fellow in 2014, summer and completed my M. Tech dissertation in Indian Statistical Institute, Kolkata in 2015. My M. Tech dissertation was filed as patent on 5th June , 2015 and won the IEEE Innovation Award as among the 12 finalists all over India for my patent on 22nd December, 2015 from IEEE, Kolkata Section. I have also got IEEE nomination for Engineering Excellence Award from IEEE and applied for it. 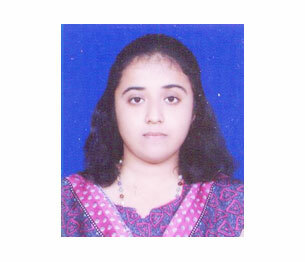 She has got Phd admission in Stanford University and will join in July 2016 in the department of Electrical Engineering. It has been a great experience for me to be a part of Amity University, the research opportunity and infrastructure is really awesome here. Amity University has a lot of tie-ups with foreign universities with which one can be part of these institutions for further studies. We have a good experience with faculty members there. 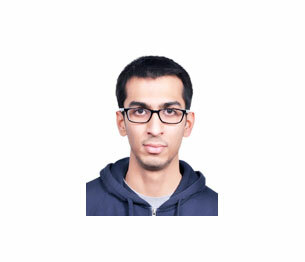 Currently Mr. Shailen Tewathia is working as Switch Engineer at Tata Communication Gurgaon, Haryana. I am thankful to Amity University, Noida for giving me the platform to work in one of the brand names of VLSI industry. My seven research papers are published in IEEE and one in Springer under the guidance of faculty of Amity University. Amity University has also rewarded me with a merit certificate and a gold medal for being topper in M.Tech VLSI 2013-2015 batch. I would like to thank my family, my mentor, my teachers, my friends and Amity University for supporting me a lot and for being part of my success. 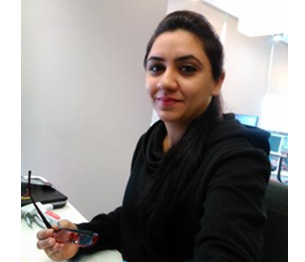 Currently Ms. Kiran Rawat is working as an intern in product validation team at Cadence design system, Noida from June 2015. I am thankful to Amity University, Noida, and the faculty of the ECE department for providing the appropriate guidance and motivation to continue my research work. During my tenure in Amity, I have filed one patent and published 9 papers. I have also been nominated for the Commonwealth Scholarship Plan by the Ministry of Human Resource and Development, Government of India for pursuing doctoral studies in the UK and is the nominee of Leeds International Research Scholarship and Swansea University Country Manager fellowship. 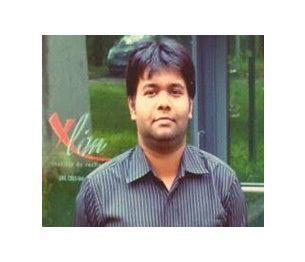 He is currently working as Scientific Researcher and PhD scholar in Composants Circuits Signaux et SystÃ¨mes Hautes FrÃ©quences (C2S2) research group in the XLIM laboratory in the University of Limoges, France. Manish Kumar, Shashwat Bhattacharya Jyoti Satija and B. Nirmaljit Sharma at National Tsing Hua University. I have studied at Amity for six years completing my Bachelors and Masters. It is the best thing to have happened to me. Got my first job in a reputed firm in Bachelors. After working, I came back to pursue my higher studies here at Amity in VLSI. Amity gives a very good environment for study as well as fun. If a person is willing, he can get a lot of opportunities while you study in Amity. Sujata Ma'am has guided me a lot during my stay at Amity along with other teachers and friends. 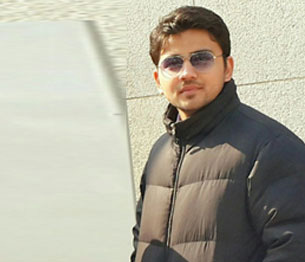 He is currently a Ph.D Scholar In NEMS Department at National Tsing Hua University. Amity has provided us a lot of resources. It's a place where we had fun along with getting a lot of knowledge. Teachers of Amity are very helpful. My life in Amity has been wonderful and Amity is the reason that I am here today in National Tsing Hua University doing my Ph.D. It has given me a platform to showcase my talent. All thanks to Amity. She is currently a PhD Scholar In NEMS Department at National Tsing Hua University. Amity has helped us a lot in becoming an individual who can be successful in their respective fields. He is currently a PhD Scholar in ESS Department at National Tsing Hua University. I did my masters degree in VLSI from Amity University, Noida. I feel honored for this opportunity and it helped me to achieve my goals in my respective field. 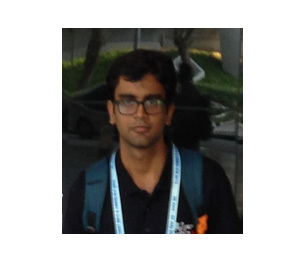 In my first years of PhD, I have got 3 journal papers published in reputed international journals like IEEE transactions and Elsevier and few others are under review. I have several international conferences including ICMAT 2016 in SUNTEC, Singapore. I am a part of Semi Lab and Center for Reliability Sciences. I have also filed a patent this year which is under revision. 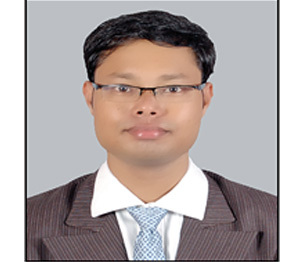 I am also a reviewer for international journals like IEEE and Elsevier. 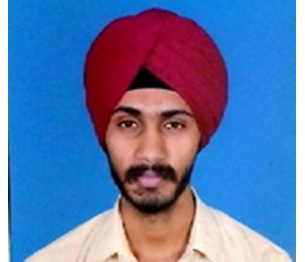 Currently Mr. Preetpal Singh is pursuing PhD degree in the field of Nano Materials and Opto Electronics in Chang Gung University, Taiwan. I joined NXP soon after I passed out from Amity, I feel very thankful to Amity. Starting from wide variety of subjectsâ€™ literature, required in VLSI industry, to laboratories, where faculty always gave the right amount of information, to NTCC, which enhances the studentsâ€™ knowledge to much more extent, to internship, the combination makes the student very fit to adapt in a VLSI environment. The range of choices Amity provided for optional subjects, also helped. For me, the subjects helped my interests grow towards summer internship project and based on which I did my Dissertation in Masamb Electronics Pvt. Ltd., whose exposure in turn helped me to get through NXP Semiconductors India Pvt. Ltd. All this was never possible without the timely valuable suggestions from the faculty. Also, courses like Communication skills and Behavioral Science made me able to interact like a professional in this industry. 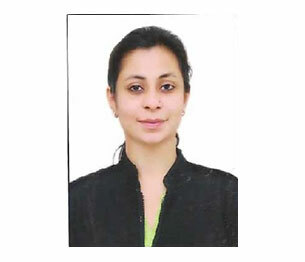 Currently Ms. Sharmistha Sinha is working as Design Engineer at NXP Semiconductors India Pvt. Ltd. I have studied at Amity for six years completing my Bachelors and Masters. It is the best thing to have happened to me. Got my first job in a reputed firm in Bachelors. After working, I came back to pursue my higher studies here at Amity in VLSI. Amity gives a very good environment for study as well as fun. If a person is willing, he can get a lot of opportunities while you study in Amity. Sujata Ma'am has guided me a lot during my stay at Amity along with other teachers and friends. Currently in my PHD also many things that I learned from Amity is helping me in my day to day endeavors. 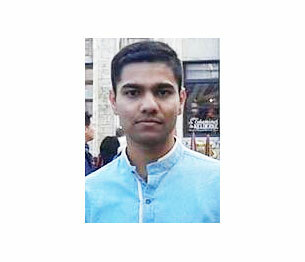 Currently Shashwat is pursuing his Doctoral Degree from National Tsing Hua University, Taiwan. 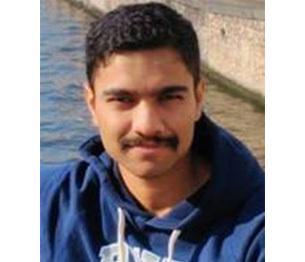 He is enrolled in the department Institute of Nano-engineering and Microsystems (iNEMS), where he is doing research in the field of CMOS Nano electromechanical systems based sensors working for RF MEMS Lab. 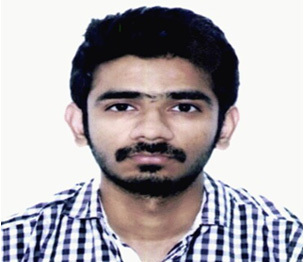 Currently Mr. Sharad Tiwari is working as Junior Research Fellow at Amity University, Noida in a project as a part of Department of Science and Technology (Government of India). 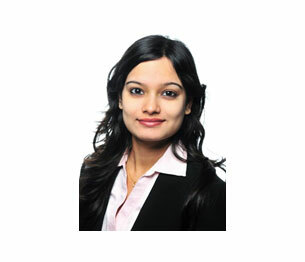 Currently Ms. Krippy Kakkar is working as an R&D Engineer at Magneti Marelli India. It is an automotive company where she is working in the development and validation of high end cars by FIAT, Ferari and Maserati. 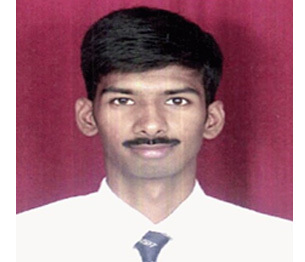 I have completed my six month internship from ST Microelectronics. I am thankful for University to give me such a platform where I enhance my technical and professional skills. Amity University is itself a whole world. The faculty here has boundless energy for working together to help students succeed. They are the one who inspired us to think differently about the world and who set us on the path to where we are today. I still feel an integral part of the university. ASET department is an excellent blend of experience, knowledge and skills that give every student the opportunity and the can-do passion for all round development. The department had given me exposure and motivation to indulge in research work and also with the opportunity to publish two technical papers in IEEE conference. 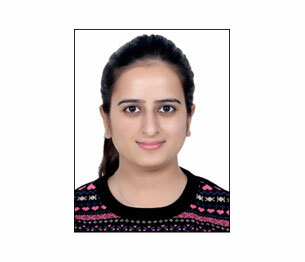 Currently Ms. Sonal Jain is working as R&D Engineer at Su-Kam Power Systems Ltd., Gurgaon, Haryana. AMITY University enables an individual to excel in every possible area, by doing their overall development. My journey at AMITY has been really delightful. The ECE (ASET) department supports every single student to their every single issue and their support has been really great for me too. Faculties of ASET are really great in terms of their knowledge and experience, which gets highlighted when they share their knowledge with us. Apart from the academics, the co-curricular and extracurricular activities help a student to groom in a much better way. My journey at AMITY will always remain close to my heart. Thanks AMITY! 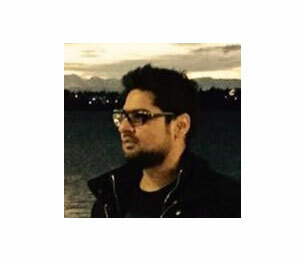 Currently Mr. Deepak is working as Graduate Engineer Trainee at Magneti Marelli India Pvt Ltd (subsidary of Fiat Chrysler Automobile).